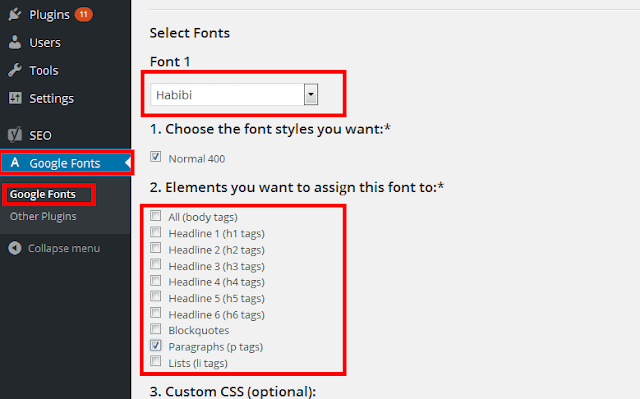 Are you looking for an easier way to add fonts to your WordPress site? if yes then your search is over. In this tutorial we will show you how to add Google Fonts in your WordPress site. 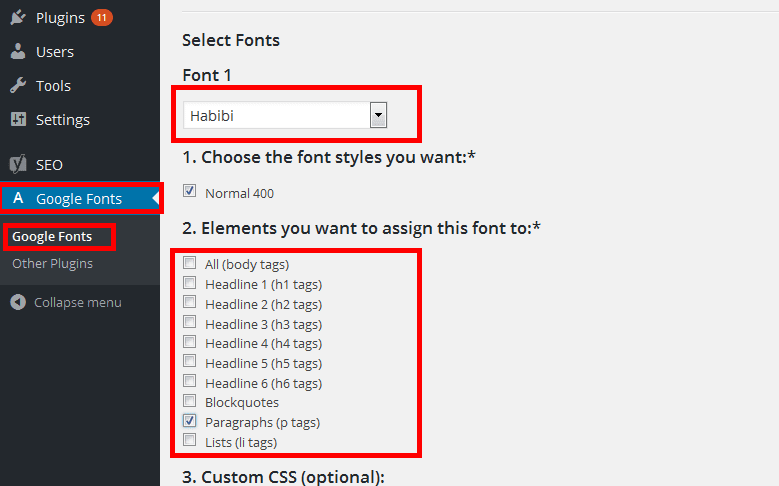 we will also show you how you can add font to elements of your website. Google is word's no 1 and largest search engine and other services and products. One of best and free service is Google's font directory where you can find amazing fonts for your websites. 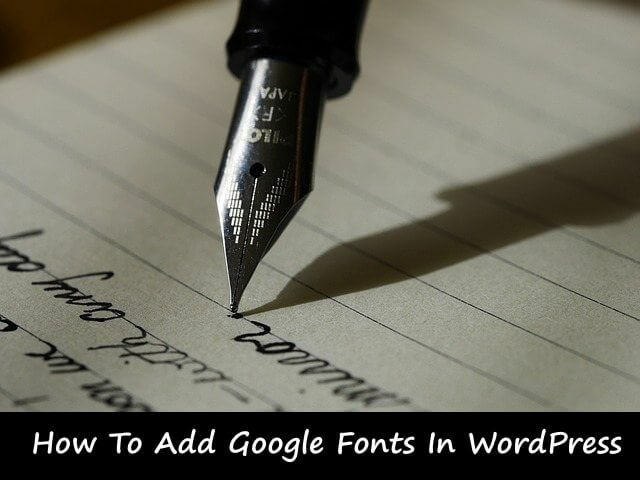 In WordPress you can easily add google fonts with the most popular font plugin. WP Google Font is one of the best and most popular WordPress font plugin. With this plugin you can add fonts to your WordPress site or if you want to add font to specific elements of your website then you easily can with your WordPress admin panel. this plugin only adds the necessary font scripts so your site won't get slowed down. More than 100,000 (one hundred thousand) WordPress sites using this plugin. First of all, You need to download and activate the WP Google Font" plugin from your WordPress plugins tab or download manually. If you don't know how to install, then read How To Upload & Install WordPress plugins. After you activated the plugin, You will see a new tab called "A Google Fonts" on your WordPress admin area. Click on that and choose a font from the drop down list and check mark your website element where you want to add the font. Once done, then click on save all fonts button. Now you able to use any font in your WordPress or in a specific element of your site, why you don't just have a look on below demo screenshot. 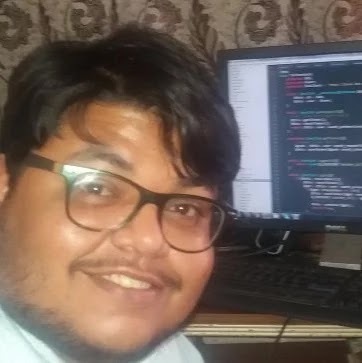 Congratulations, you just added Google font in your WordPress by yourself. So this is how you can easily add Google fonts on your WordPress site. 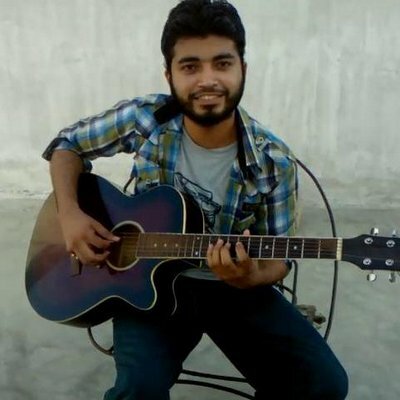 if you want to get latest updates then you shsould like and follow us on Twitter, Facebook.